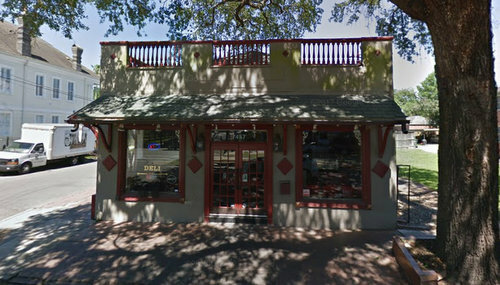 A nail salon proposed for a university-area building on St. Charles Avenue that has been a number of short-lived restaurants in recent years won initial approval from the City Planning Commission on Tuesday, and it will include the addition of a new second-story living space — despite some some neighbors concerns’ that parking is already too tough even with the space currently vacant. A company called La Vang Pearl is planning the nail salon at 7457 St. Charles Avenue, a former grocery at the corner of Cherokee Street which in the past few years had been the home of Fat Hen Grocery and an Uptown expansion of Willie Mae’s Scotch House. After the latter business closed in 2017, the building remained vacant for more than six months, so it lost its grandfathered commercial status. The building’s new owner, Thien Nguyen, has applied a conditional-use permit to operate the salon as a “neighborhood commercial establishment” on the ground floor, which city planning department officials said would be the “most restrictive” method of returning it to commercial use while minimizing impact on the neighborhood. 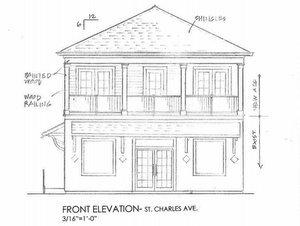 Nguyen also plans to add a new second floor that will function as a single-family living space, and because it fits within the height requirements on St. Charles Avenue, he is allowed to do so without any additional permission from the city, planners said. Nguyen and two supportive neighbors both spoke briefly on behalf of the project Tuesday afternoon before the City Planning Commission. Two other neighbors in the next block of St. Charles Avenue, however, said they worry that the business will overwhelm them with traffic. One of the neighbors who had spoken on behalf of Nguyen, the Rev. Barbara Calhoun-Gibson of Williams Ross United Methodist Church on nearby Pearl Street, rose to his defense to say many neighbors support the project in spite of the parking difficulties. “We too experience the hassle with the parking there, but the community is open to allowing this to happen,” Calhoun-Gibson said. City planners noted that the project will have to add a single off-street parking space because of the addition of the second-story. City Planning Commissioner Kyle Wedberg then proposed approval of the project, saying the property owner should be allowed to give the business a try in the building. The six commissioners voted unanimously in favor of Nguyen’s request, and their recommendation will next be forwarded to the City Council for a final decision.